As a filmmaker, I'm always interested in loaded spaces. By that I mean, a space that acts as a microcosm for larger social issues we are experiencing together as a culture. For me, the opioid epidemic we've been experiencing in this country for years now is symptomatic of so many larger issues - obviously it's linked to healthcare, but even our approach to healthcare in the US is driven by commercial interests which means that most of us are on our own. The idea of the doctor who has time and interest in you is only something that exists for the extremely wealthy. Combine that with the pervasive attitudes towards addiction as a personal failing and no wonder we are seeing this problem on a scale never experienced before. So I knew I wanted to find a space that spoke to these issues but was not about the individual addict and their experience. I respect those stories, but for me, I wanted to talk about the system in an intimate way. One of the things I kept hearing from patients at the clinic was that this was a safe space for them where they felt respected and listened to. Because of their addiction they rarely felt that anywhere else in their lives. I hope by showing Dr. Lasher's interactions and the communication back and forth we can all learn something about how to treat others who may be suffering in one way or another. I think many of the patients in the film participated because they wanted an audience to see what this kind of care could look like. I hope that the camera breaks some of the boundaries for the audience and if they are dealing with something similar in their own lives they may be more likely to engage with that person after seeing the film. I also think Dr. Lasher is an amazing example of someone who takes care of his community no matter the consequences. I think in this film we get a series of extremely personal moments but because I chose to not follow one patient or make it about Dr. Lasher as a person the space is a universal space. I think respect for anyone struggling comes through but also I think each of us will probably have a different reaction to each patient depending on whether there is something about them that we identify with. I know that I certainly had different reactions to different patients as I was filming and it was definitely harder for me when a young woman arrived at the clinic. Well, I had no control over who showed up each week at the clinic or what was going to happen between them and Dr. Lasher so besides the camera work evolving as I got used to the space the major evolution was finding the right order of patient interactions so that the film has a satisfying arc. That was the major issue in the edit. I'm just beginning to show the film at festivals and publicly so I haven't had a ton of feedback outside of those who helped me during the process of making the film. I am looking forward to showing it to those who have struggled with addiction and the addiction medicine community. 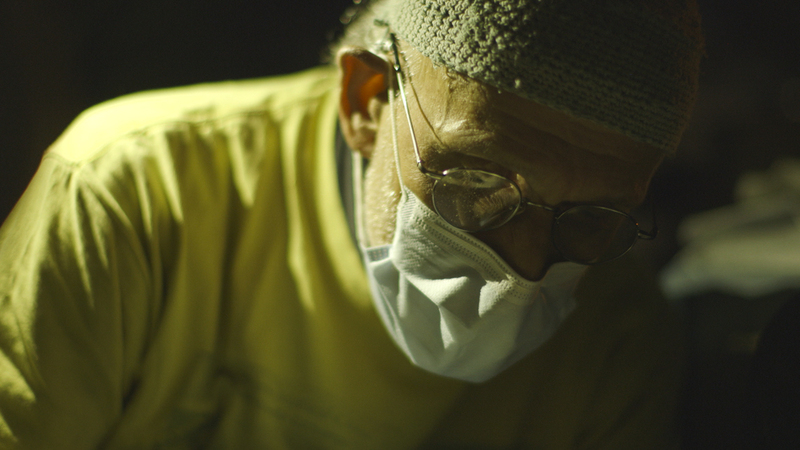 I think that the major feedback I've been really excited about is that the way the film is shot and edited creates a strong sense of empathy towards the patients. I know that this kind of film could easily turn voyeuristic and I was worried about that during filming. So to hear that the camerawork translated respect is great to hear. Not so far, but I'm really excited to start showing it to audiences and participating in Q&As. I think that this film is important and part of the conversation about how we make a sustainable difference in healthcare in this country. So I want it to stir up debate and conversation. The film is just beginning its festival run so I'd love for more film festivals to come on board and I will be looking for distribution so that the film can reach an even broader audience. I'd also like those in the medical community who might be interested in using the film as a teaching opportunity to be able to access it. I hope that the film is accessible to enough people that it could make an impact on those with the power to shape medical policy and addiction treatment in this country. And I would like it to remind audiences that one person who says, screw the rules, I see a need and I am going to do something about it, can have an amazing impact on so many people's lives. In this case, save a ton of lives. Addiction is already such an isolating experience, how did we get to a point where our approach to addiction treatment has become about personal failing and not about treating it as a disease. I'm developing a film right now about a building in Oakland that has an amazing history that encapsulates so many of the issues we are facing here, especially regarding housing and gentrification. Stay tuned for more! Born and raised in Washington, DC, ELIVIA SHAW is driven by filmmaking that uses intimacy and personal narrative to question our larger social systems and cultural identities. Her work has screened at festivals including DOC NYC, LAFF and Big Sky Documentary Film Festival and has been shortlisted for the student BAFTA awards. She has also worked on award-winning television series and feature documentaries for Al Jazeera, National Geographic, HBO and PBS. She holds an MFA in Documentary Film from Stanford University.